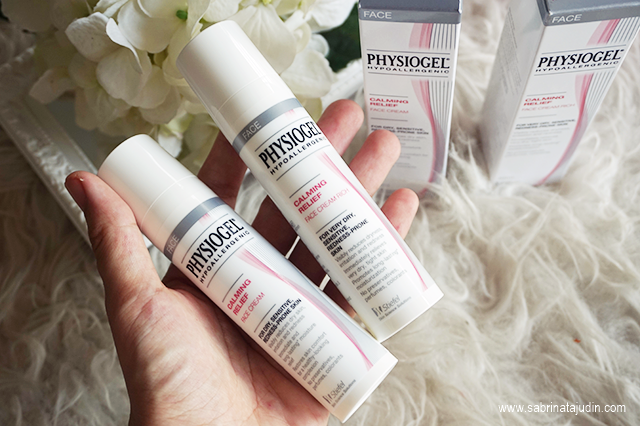 Physiogel Calming Relief 14 day challenge – Bring it on!!! New year, new skin resolution right? My skin resolution? Free myself from sensitive skin problems! Just to share a little bit with you here, I have problem with dry skin. Every now and then, I do come across occasions when my skin become reddish, dry and irritable. They all tend to flare up especially during hot sunny day or if I put on certain make-up products. In fact this is something common that many of my friends also complain about. Guess what, we are not alone. 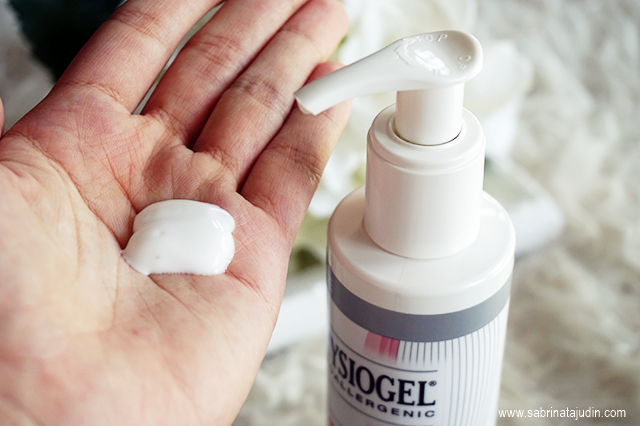 In fact, 1 in 2 women in Asia have sensitive skin – which this is something I plucked out from a Physiogel study. Aside from dry skin, some of the causes of sensitive skin are climatic harshness. Well.. Look at our weather right, hot and humid which makes my skin even more prone to dryness. Then, there are nasty pollutants in the air, like haze, obviously! This I can totally relate to! My Pregnancy is crazily driving my hormones now! Stress, its leads to hormonal changes, so these also trigger to skin dryness, redness and irritability. 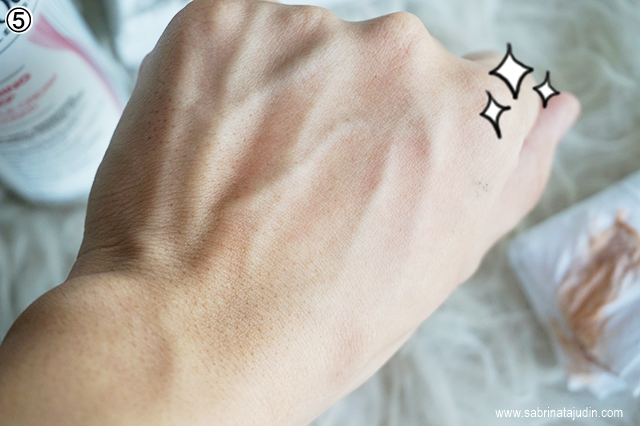 *cough* *cough* Ah… the guilty pleasure of mine indulging in many makeup products! 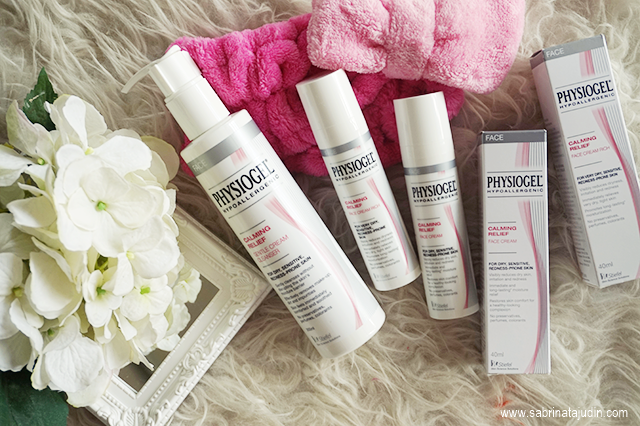 So I come across this range of products called Physiogel. I’ve heard of it a lot as THE product for sensitive skin, tested by dermatologists and recommended by skin doctors but it never occurred in my mind that I could use it on my face. 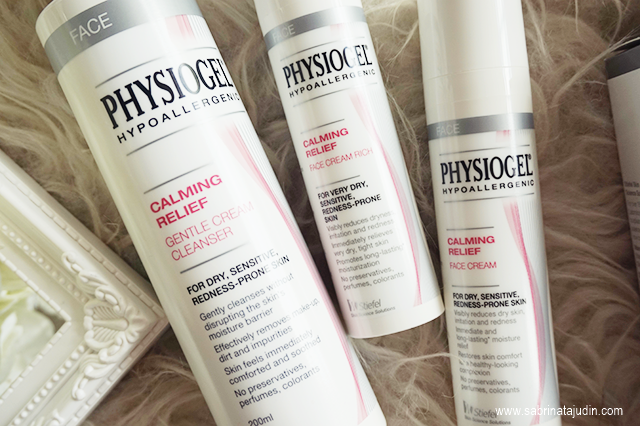 Then I discovered the new range by Physiogel, called the Calming Relief face care, I knew it is something that I must try for myself. Thankfully, Physiogel Malaysia took notice of my facial rants somehow and they invited my for a 14 day challenge! They told me that studies have shown that 93% of women who have tried Physiogel Calming Relief for face have seen visibly reduced redness. Really?? I will start using them today and will update you on the progress. Here are the 3 products that I am trying out during this 2 weeks. I was recommended by Physiogel to take a 2-step regime so that I can achieve the best result. I kinda like cream cleanser because they do removes dirt, make-up and impurities from the skin more effectively yet gently - best for people who have dry, sensitive and redness-prone skin. Here I just need to have a few pumps, massage them in circular motion throughout the face, and just wipe them off. Step 2 of the regime, I was recommended to go right into the moisturiser. 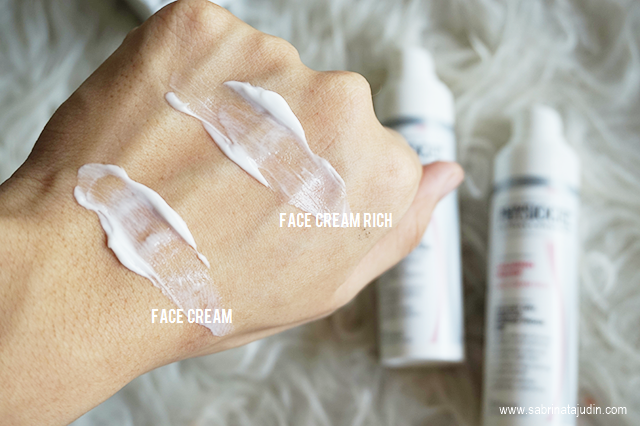 Here we have both face creams – one is Face Cream and another one is Face Cream Rich. Depending on how dry your skin is, choose either one, or use both. Since I have both with me, I’m going to try using both anyway. I’m going to go with the Face Cream during the day & Face Cream Rich during night. You can see here both cream’s texture side by side – maybe a visually, you can’t see too much of difference here. I can also tell you that they’re free from fragrance and colorants, which means there’s less harmful substances that tend to aggravate our skin condition. Since I’ve already have them pumped out anyway, I put on the Face Cream on my face. It feels light, yet I can feel immediate relief to the “tight” feeling on our skin after cleansing. There wasn’t much residue and oily feeling on my skin, which I’m also happy with for now. Here is my skin condition after my first application! Above shows my skin before trying this product. I am looking foward for this skincare range to help reduce my skin dryness and redness. So, with or without “rich”? Have my skin improved? Too early to tell! I am looking forward to see what results that I may experience over the next 14 days with these products. Watch out for my next post within this week as I will share with you more on my journey to sensitive-free skin! i also use physiogel for my son too. kulit liz selalu akn ada pori2 mcm tu. xsuka betul. Kulit saya pun sensitif. Kalau guna skincare yang tak sesuai mesti rasa pedih. Silap haribulan tumbuh jerawat. hi.may i know the updates on the redness on your face?did physiogel healed it? hi..produk ni sesuai tak utk kulit muka berjerawat ?